Colour Green (this album) (2006). Sorry, no matches on eBay for "Says Elliott Sibylle Baier". Showing latest 5 ratings for this track. | Show all 13 ratings for this track. 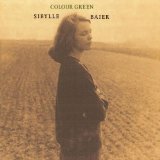 Related links: top tracks by Sibylle Baiertop tracks of the 2000s, top tracks of 2006.